Do you need to improve your search engine presence? Is this the only thing standing between you and success with your online business? If it is, please read on.... SEO marketing is probably one of the most important parts of having an online presence. If nobody can find your website, then you are not going to make any sells. Search engine optimization is what drives people to your site. This book is here to help you discover some new ways to drive the traffic to your site so that you make more money for your business. 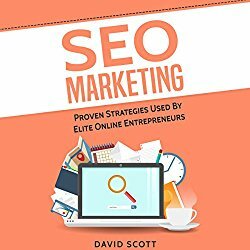 This book has seven different SEO marketing strategies that you can use today to improve your skills. This book includes:Optimizing voice search Improving user experience Speeding up your site Optimizing for rich answers And much moreImproving your search engine presence may be the only thing standing between you and success. Get this book today, and learn seven different strategies that top online entrepreneurs use to improve their SEO marketing.